From the small clubs of Los Angeles, to the recording studios, to the Hollywood Bowl, and even the grass at the Los Angeles Memorial Coliseum, Dr. Simonsen’s trumpet and music can be heard pleasing audiences of every size and demographic. Walter Simonsen is a professional trumpet player, composer, arranger, and educator in the Los Angeles area. Dr. Simonsen has recorded and performed with artists of all genres including Michael Bublé, Alicia Keys, Steve Miller, Nancy Wilson, Josh Groban, Flea, George Clinton, Horace Silver, Bill Holman, Dream Theatre, hr-Bigband in Frankfurt, Germany, and with Of Monsters and Men. Dr. Simonsen also has an extensive educational background. He received his Doctorate of Musical Arts and Master of Music in Jazz Studies from the University of Southern California, and was the lead player in the Two O’Clock Lab Band at the University of North Texas, where he received his Bachelor of Music. Dr. Simonsen has served on the faculties at USC and East Los Angeles College. 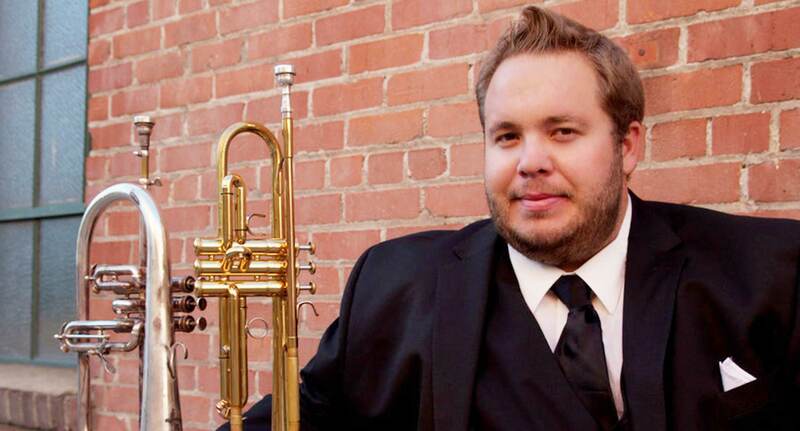 And he is currently on the faculty at the Colburn Community School of Performing Arts, where he teaches jazz trumpet and is Assistant Director of the Big Band. He has given several master classes and clinics across the country, and has composed and arranged several commissioned pieces for various ensembles at every level. Dr. Simonsen is also the staff arranger for the Los Angeles Lakers house band and has served on the arranging staff for the USC Marching Band. Dr. Simonsen lives in Pasadena with his wife Michelle and dog Duple.